The Eagles signed Hawkins from their practice squad Monday, Geoff Mosher of 97.5 The Fanatic Philadelphia reports. Analysis: Hawkins' spot on the 53-man roster comes following the Eagles' decision to waive fellow cornerbacks Chandon Sullivan and De'Vante Bausby. 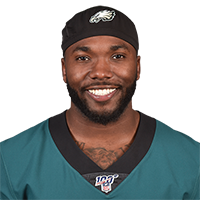 The 25-year-old will play a depth role in Philadelphia's secondary, and he's expected to take most of his snaps on special teams. Hawkins was waived by the Panthers on Wednesday, Joe Person of The Athletic reports. Analysis: Hawkins was waived by Carolina to make room for running back Kenjon Barner on the 53-man roster. The 25-year old played six defensive snaps and 72 special teams snaps in five games with the Panthers this season. If Hawkins goes unclaimed on waivers, he will be free to search for a depth role elsewhere in the league. Hawkins was promoted to the Panthers' active roster Saturday, Max Henson of the Panthers' official site reports. 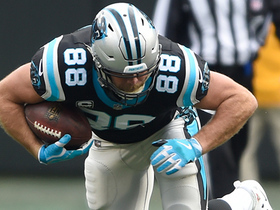 Analysis: Hawkins is the beneficiary of an open spot on the Panthers' 53-man roster. He will help provide depth at cornerback in Sunday's matchup with the Bengals, as starter Donte Jackson (groin) is considered questionable. Hawkins tallied 37 tackles (27 solo) and six pass deflections over 15 games with the Packers in 2017. 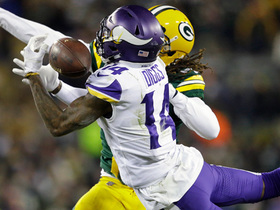 Analysis: It was thought that Hawkins would mainly fill a depth role for the Packers in 2017, but due to injuries to fellow defensive backs he played more than anticipated and even started three games. His experience this past season will help him in the competition for a roster spot during training camp in 2018. 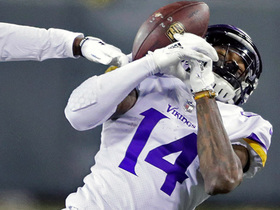 Minnesota Vikings quarterback Case Keenum fires to wide receiver Stefon Diggs who makes a bobbling catch in tight coverage for 20-yard gain. 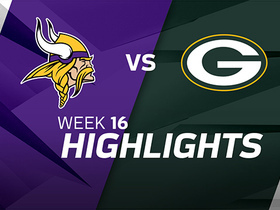 Minnesota Vikings quarterback Case Keenum fires to wide receiver Stefon Diggs for an 11-yard gain. 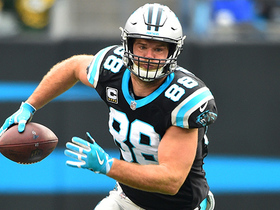 Carolina Panthers tight end Greg Olsen pulls in another one-handed catch for a gain of 12 yards on a pass from quarterback Cam Newton. 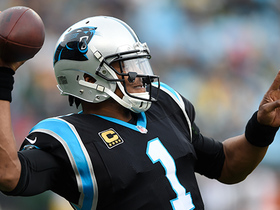 Carolina Panthers quarterback Cam Newton connects with tight end Greg Olsen for 20 yards. 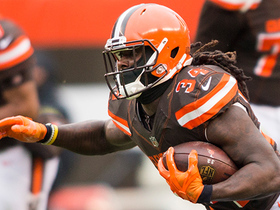 Cleveland Browns running back Isaiah Crowell breaks free for 37-yard run. 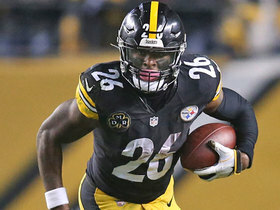 Pittsburgh Steelers quarterback Ben Roethlisberger throws to Le'Veon Bell for 10-yard gain. 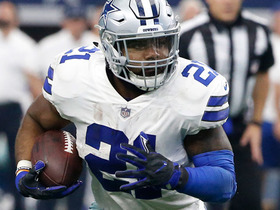 Dallas Cowboys running back Ezekiel Elliott bounces outside for 25 yards on the run.